A historic summit to denuclearize the Korean Peninsula ended without an agreement Thursday, after talks between President Trump and North Korean leader Kim Jong Un fell apart. Their second summit meeting in Hanoi, Vietnam, failed after Kim Jong Un demanded that the U.S. lift all sanctions on North Korea in exchange for dismantling the Yongbyon enrichment facility — an important North Korean nuclear site. We speak with Christine Ahn, founder and executive director of Women Cross DMZ, a global movement of women mobilizing to end the Korean War. 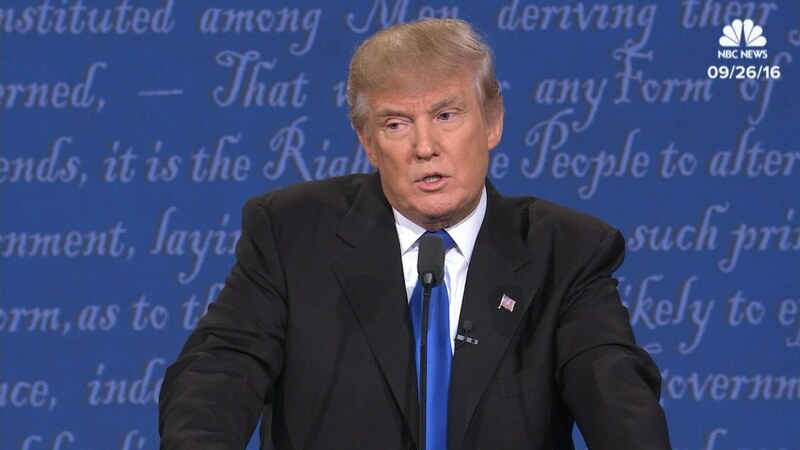 WASHINGTON — President Donald Trump’s suggestion that the U.S. drastically increase its nuclear arsenal follows a presidential campaign in which he made a number of contradictory statements about weapons of mass destruction. As a candidate, he called nuclear proliferation the “single biggest threat” facing the world while also suggesting Japan and South Korea should obtain nuclear weapons as a defense. During one debate he ruled out a “first strike” but in the same breath said he would not take anything off the table. 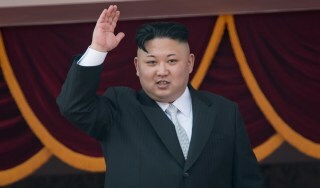 His desire to increase the country’s nuclear capabilities nearly tenfold, voiced during a meeting with top national security leaders in July, came as North Korea continued to escalate nuclear tensions with more weapons tests. As a candidate and as president, Trump has been fairly consistent in calling for the modernization of the country’s nuclear weapons. Here’s how Trump has talked about nuclear weapons since launching his presidential run and entering the White House. He Has Called Nuclear Proliferation the “Greatest Threat” Facing the U.S.
CNN’s WOLF BLITZER: But — but you’re ready to let Japan and South Korea become nuclear powers? TRUMP: I am prepared to — if they’re not going to take care of us properly, we cannot afford to be the military and the police for the world. We are, right now, the police for the entire world. We are policing the entire world. And you know what? I’m prepared to walk, and if they have to defend themselves against North Korea, where you have a maniac over there, in my opinion, if they don’t — if they don’t take care of us properly, if they don’t respect us enough to take care of us properly, then you know what’s going to have to happen, Wolf? It’s very simple. They’re going to have to defend themselves. CNN’s ANDERSON COOPER: So you have no problem with Japan and South Korea having nuclear weapons? TRUMP: Can I be honest with you? It’s going to happen anyway. It’s going to happen anyway. It’s only a question of time. They’re going to start having them or we have to get rid of them entirely. But you have so many countries already, China, Pakistan, you have so many countries, Russia, you have so many countries right now that have them. Now, wouldn’t you rather in a certain sense have Japan have nuclear weapons when North Korea has nuclear weapons? And they do have them. They absolutely have them. 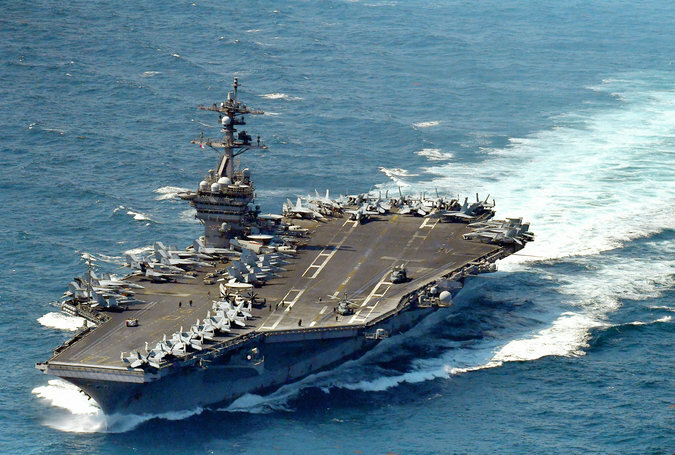 They can’t — they have no carrier system yet but they will very soon. Donald Trump’s bombastic and frightening threats against North Korea and Iran may portend a catastrophic attack that could impact the entire world. The White House has signaled that Trump will urge Congress not to reimpose sanctions, but rather hopes Congress will pass new legislation beyond the scope of the original deal. “If Congress complies, such unilateral action to change a multilateral agreement will effective kill it,” Wendy Sherman, former under secretary of state for political affairs and US lead negotiator for the JCPOA, wrote in The New York Times. In 1996, the International Court of Justice stated in an advisory opinion, “There exists an obligation to pursue in good faith and bring to a conclusion negotiations leading to nuclear disarmament in all its aspects under strict and effective international control.” But the nuclear powers have ignored that decision. But Trump has consistently criticized the Iran deal, probably because it was concluded on Barack Obama’s watch and Israel is dead set against it. Razed cities. Loss of life. Contaminated fishing stocks. Crippled satellite networks. Should the nuclear crisis between the United States and North Korea escalate beyond hurling test missiles and insults like “madman” and “dotard,” the list of possible effects is a long and frightening one. Whether North Korea were to simply test a nuclear warhead or aim one at a target like the U.S. territory of Guam — as North Korean leader Kim Jong-un has threatened — there would be consequences for both people and the environment. It’s impossible to predict precisely the effects of a North Korean nuclear blast because so much depends on the type, size and method and elevation of the detonation, says Danny Lam, a Calgary-based defence analyst with a PhD in environmental engineering. But using as a guide the size of the nuclear test North Korea conducted Sept. 3 — estimated at 250 kilotonnes — some idea of the scope of the damage can be estimated. North Korean Foreign Minister Ri Yong Ho has said the country will perform an atmospheric test of a hydrogen bomb over the Pacific Ocean, after claiming a successful underground test of a hydrogen bomb in early September. Hydrogen bombs have a far larger yield than traditional weapons. But it’s not known if the nation has the technology to make a bomb small enough to fit on a missile. Its missile testing in the Pacific has sent unarmed missiles into the Earth’s atmosphere, but some seemed to have a range that could reach the West Coast of the U.S.
Should Kim make good on his threat to target Guam with a nuclear bomb the size of the Sept. 3 test, it would generate a fireball covering an area of 1.6 square kilometres and result in close to 100 per cent loss of life within six square kilometres, Lam says. Most residential buildings within 26 square kilometres would collapse, and prevailing winds would carry residual radioactive material about 270 kilometres northeast of the island. In the 1950s, a series of nuclear tests in Bikini Atoll, part of the Pacific’s Marshall Islands, were much bigger than North Korea’s most recent test. But they rendered the whole area unlivable due to contaminated soil and water that made farming and fishing dangerous. Eventually all residents had to be relocated and they have not returned. For context, it’s important to know that the world has already seen testing of nuclear weapons far bigger than what North Korea is known to have, says Lam, and it hasn’t caused widespread radiation sickness or environmental devastation beyond the blast area. An atmospheric nuclear test would be far more dangerous than detonations in controlled underground environments, because of the force of the blast and unrestrained release of radioactive materials that could spread out over large areas. Such a launch would potentially endanger aircraft and ships because it’s highly unlikely the North would give prior warnings or send naval vessels to the area to control sea traffic. Lee Choon Geun, a missile expert from South Korea’s Science and Technology Policy Institute, says missile tests can easily go wrong, and the consequences of failure could be terrifying if the missile is armed with a nuclear weapon. If a misfire comes close to Japan, that could trigger retaliation from Washington, he told Reuters. Much more threatening to the broader world is the potential damage from an electromagnetic pulse (EMP) triggered by an atmospheric nuclear blast, says Peter Vincent Pry, executive director of the Task Force on National and Homeland Security in the U.S.
EMP is a burst of electromagnetic energy that destroys or damages satellite networks. “Even the GPS systems in automobiles, airplanes depend on these satellites. Our communications, both commercial and military, depend on these satellites,” says Pry, who has served on several congressional committees on EMP and other aspects of defense. That means, not only would your cellphone network be down at home, military who normally perform high-tech targeted missions wouldn’t have the satellite data they rely upon to do so. There’s a reason that the comprehensive nuclear-test ban treaty forbids this kind of high atmosphere tests, says Lam. But it’s unclear what ordinary residents of San Francisco, Tokyo, Seoul or Pyongyang could do to protect themselves if Trump or Kim decided to unleash the fire and furythey are so fond of threatening in their tweets and propaganda videos. So we dismiss their bombast as the stuff of fantasy, like a science-fiction movie in which the protagonist travels across time or discovers that his spouse and children are really holograms. What worries those trying to make sense of North Korea’s provocations is the possibility that Kim and his generals are either skeptical of that consensus or simply indifferent to the possibility that any nuclear exchange would end in North Korea’s annihilation. Trump poured gasoline on the paranoia when he asserted that North Korea’s current leader is “on a suicide mission,” suggesting that Kim’s provocations are not only likely to hasten his country’s annihilation but consciously designed to do so. If he’s right, we should probably stop arguing about Obamacare and eat more ice cream. The generals and analysts advising Trump seem less inclined to take such conspicuous displays of bravado at face value. They are proceeding on the optimistic assumption that Kim and the elite coterie that supports him are as interested in continuing to draw breath as anyone else, but have convinced themselves that the nuclear threat is the surest guarantee of both their country’s physical security and their own political power. The Trump administration’s grown-ups want to believe they have counterparts in the North Korean intelligence community who are just as quick to discount the U.S. president’s public provocations as they are to dismiss Kim’s. But journalists who’ve visited North Korea say Trump’s tweets leave the Kim regime’s analysts just as puzzled about Washington’s intentions as U.S. strategists are about Pyongyang’s. You needn’t be paranoid to worry that either side’s miscalculation about the other’s motives could prove as dangerous as any overt military act. 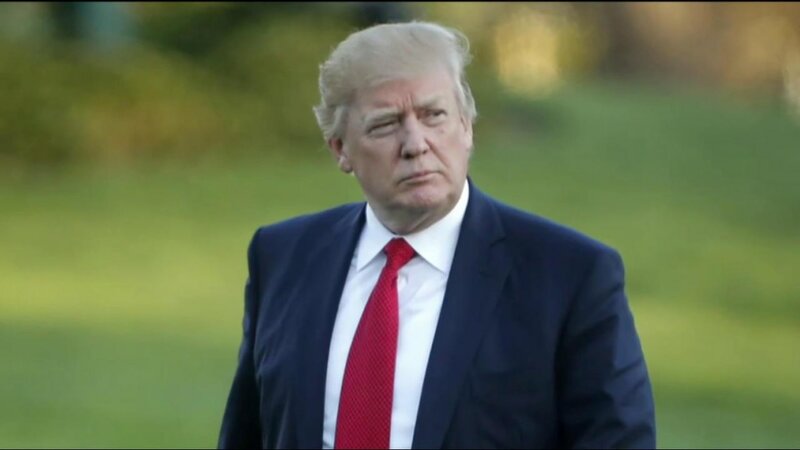 President Trump has promised the world that he will “solve” the North Korean nuclear crisis before the country’s leader, Kim Jong-un, can screw a nuclear weapon onto a missile that can reach San Francisco or Los Angeles, a grim feat that experts say he is on track to achieve during Mr. Trump’s first term. The president is right to point out that his predecessors succeeded only at kicking this problem down the road. But Mr. Trump hasn’t said how he plans to solve the problem. History suggests that as Mr. Trump comes to understand the risks involved, he will settle for constraints on North Korean testing to stop it from being able to reach the American homeland with a nuclear-tipped missile. President Xi Jinping of China pointed him in that direction at the Mar-a-Lago summit meeting in April, proposing a freeze on United States military activity on the Korean Peninsula in exchange for suspending North Korea’s long-range missile tests. An approach that requires the United States to accept what it longed deemed “unacceptable” will strike many people in Washington as irresponsible. 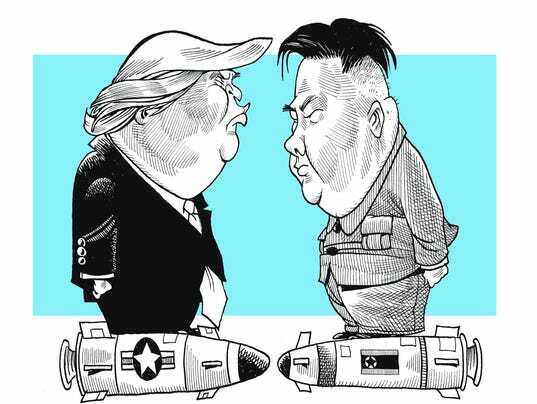 Is United States national security really strengthened if a 33-year-old dictator with a record of executing his enemies and defying red lines is left with an arsenal of 20 warheads and missiles that can deliver nuclear strikes against Seoul and Tokyo? It would be a hard pill to swallow, as Secretary of State Rex Tillerson acknowledged in South Korea two months ago, when he noted that such a freeze was “premature” since it does not readily solve anything. But as Mr. Trump and Mr. Tillerson review the choices that Mao Zedong made in 1950, and John F. Kennedy made in 1962, they will come to appreciate the risks of cornering an adversary — and find the clearest clues for a deal that Washington and Beijing could support. Start with Mao. In the Korean War, American policy makers assumed that if the United States went to the defense of South Korea, a China exhausted by years of civil war would not respond. They were wrong. Mao did not hesitate to unleash a huge counterattack on a nuclear superpower when United States soldiers in Korea neared the Chinese border. Overwhelmed, Gen. Douglas MacArthur’s men retreated. Could that happen again? Maybe. The United States intelligence community believes that American military strikes against North Korea would almost certainly trigger retaliation that would kill up to a million citizens in Seoul. 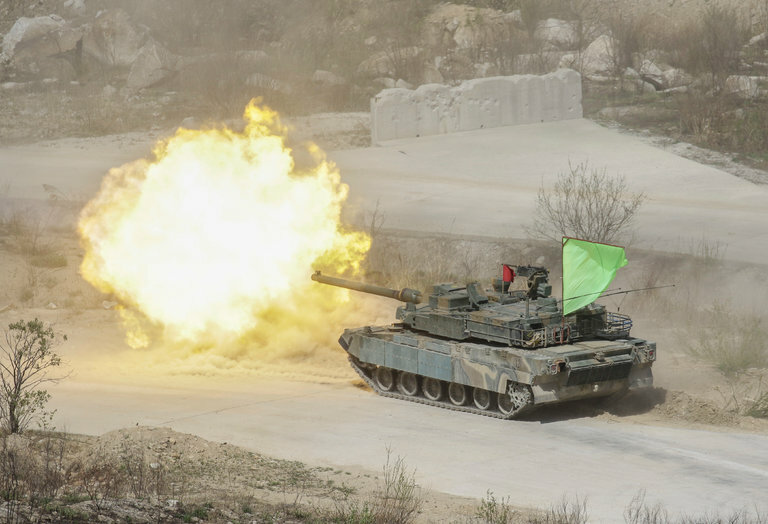 The South Korean government would respond with a full-scale attack on the North. The United States is committed to support South Korea. But would Mr. Xi ever allow the Korean Peninsula to be reunified by a government allied with the United States? And history is working against us. A Harvard study I led found 16 cases over the past 500 years when a rising power threatened to displace a ruling power. In 12 of them, the outcome was war. Today, as an unstoppable rising China rivals an immovable reigning United States, this dynamic — which I call Thucydides’s Trap — amplifies risks. What we see unfolding now is a Cuban Missile Crisis in slow motion. In the most dangerous moment in recorded history, to prevent the Soviet Union from placing nuclear-tipped missiles in Cuba, John F. Kennedy was prepared to take what he confessed was a one-in-three chance of a nuclear war with the Soviet Union. What risk will Mr. Trump run to prevent North Korea acquiring the ability to strike the United States? As Kennedy approached the final hour in which he would have to attack, risking nuclear war, or acquiesce to a Soviet nuclear presence in America’s backyard, both he and Nikita Khrushchev, the Soviet leader, began to examine previously unthinkable options. In the popular American narrative, Khrushchev capitulated. But we now know that both sides blinked. Kennedy agreed secretly to remove American missiles from Turkey, an option he and his advisers had earlier rejected because of its impact on NATO — and because he would look weak. At Mar-a-Lago, Mr. Xi reportedly urged Mr. Trump to accept “suspension for suspension.” For Mr. Kim’s freeze on additional ICBM tests, the United States could postpone or modify military exercises in the region. Some people in Mr. Xi’s circle have even proposed that the United States and China consider a new East Asian security architecture. Indeed, they note that America’s presence in South Korea is an accident of history. Had North Korea not attacked the South in 1950, the United States would never have intervened. So if China were to assume responsibility for removing the Kim regime, denuclearizing the country, and reunifying the peninsula under a government in Seoul friendly to Beijing, would the United States remove all its bases from the South and end its military alliance? For most American presidents, the idea would be a nonstarter. But Mr. Trump is nothing if not original. Will the necessity of avoiding nuclear war, in this case, become again the mother of invention? North Korea’s nuclear threat is a priority for the Trump administration. But the U.S. has not filled key diplomatic positions in the region, including allied nations. Analysts say the lack of personnel makes it impossible for the U.S. to act. 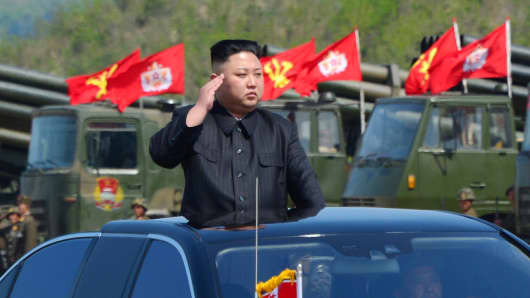 North Korea’s leader Kim Jong Un watches a military drill marking the 85th anniversary of the establishment of the Korean People’s Army (KPA). The United States has failed to put in place enough senior diplomats to tackle the North Korean nuclear threat and trade issues in East Asia, international policy experts told an audience this week. “You’d think we’re going into a crisis with North Korea, and there’s no ambassador in Seoul, in Tokyo, in Beijing or an assistant secretary for East Asia. You wonder, beyond the tweets and what the White House says, how actually the work of the government is going to get done,” said Vali Nasr, dean of the John Hopkins School of Advanced International Studies and a former senior advisor on Afghanistan and Pakistan under Ambassador Richard Holbrooke. The U.S. State Department website says that those major ambassadorships are “vacant” — as are the top U.S. diplomatic posts to India and Australia — even as smaller countries such as the Philippines have ambassadors in place. In a statement to CNBC, the State Department pointed out that it has officials “serving in acting capacities” in those countries. The department deferred to the White House on senior nomination questions. “You worry that even if things are calm, you’re just one step away from a very big crisis,” Nasr said. He was speaking Wednesday evening at the Asia Society in New York. President Donald Trump has rocked longstanding U.S. policy in Asia, leaving allies in the region less certain about their relationship with the United States, while China takes advantage of the vacuum to grow as a regional power and take over as the arbiter of international standards. 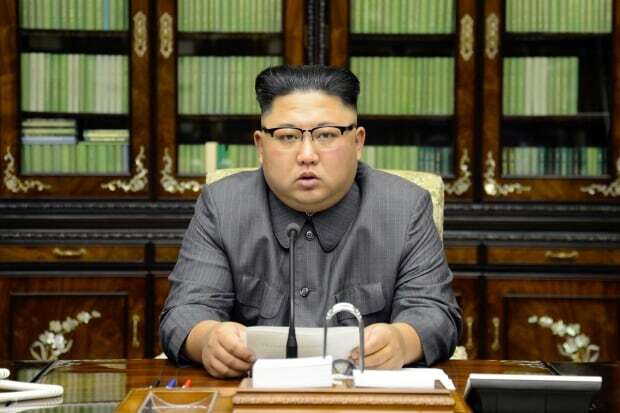 Against that backdrop, North Korea dictator Kim Jong Un has threatened various countries with nuclear attack. “You cannot take on these challenges without having a government where you have people in place. It’s not possible,” Thomas Donilon, former U.S. national security advisor, said at the same event. He led U.S. efforts to impose existing sanctions on Iran. The U.S. Senate confirmed Robert Lighthizer as U.S. trade representative late Thursday, more than 100 days after Trump’s inauguration. Iowa Gov. Terry Branstad awaits his confirmation as ambassador to China and only got out of the GOP-controlled Senate Foreign Relations Committee this week. Members of the committee have blamed incomplete paperwork for the delays. Private equity executive William Hagerty wasn’t nominated as ambassador to Japan until March. No record of a nominee for ambassador to South Korea appears on the White House website. Of 557 key executive branch positions that must be confirmed by the Senate, the Trump administration has failed to produce a nominee for 460, according to a running tally from the Washington Post. Of about 200 ambassadorial posts, 77 remain “vacant,” according to a May 10 document from the State Department. Analysts pointed out that the only confirmed State Department official is Secretary Rex Tillerson himself. Tillerson “definitely bears some responsibility” for not nominating people for some key posts, Nasr told CNBC on Friday. He said he could not think of a previous case in which so many important posts had not been filled by the first few months of a new president. “It does not signify competence or seriousness,” Nasr said. To be sure, the heads of state themselves still dictate the tone of international relations overall. “Ambassadors in Asia haven’t played a [major] role for quite some time,” Charles Freeman III, managing director at consulting firm Bower Group Asia and former assistant U.S. trade representative for China affairs. Bower said the National Security Council and White House have played a greater role in Asian affairs, though he noted that good leadership at embassies is necessary for continuity in foreign policy. Despite a flurry of recent missile tests, North Korea has not demonstrated that it’s capable of hitting the United States mainland with a nuclear-armed intercontinental ballistic missile, or ICBM. 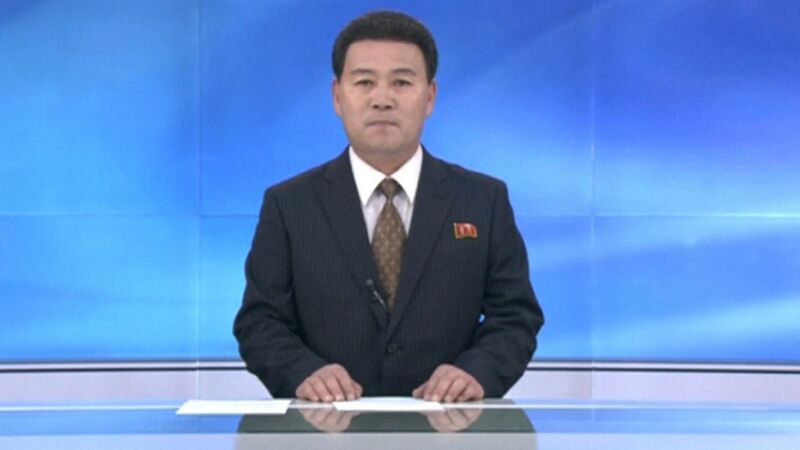 The North still maintains it has the technology to do so, however, and on Tuesday an anchor on North Korea’s state-controlled KRT broadcaster issued a new warning to Washington. 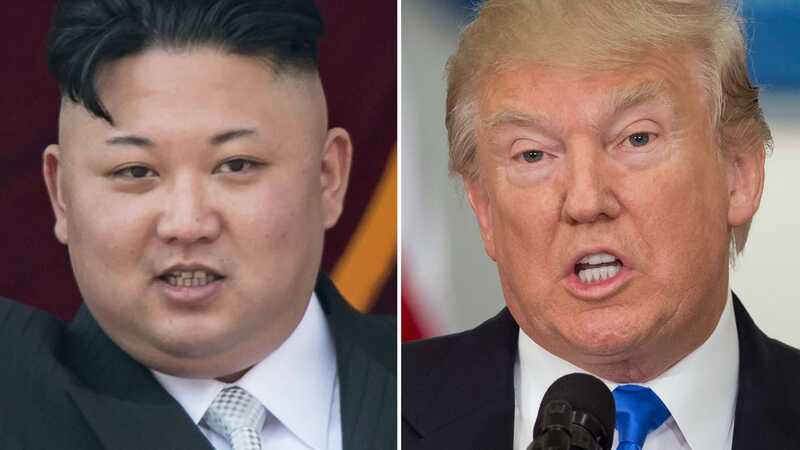 “Due to the U.S. military provocations that are becoming more explicit day by day, the situation in the Korean peninsula … is being driven to a point close to nuclear war,” he said, according to a translation by Reuters. There have also been mixed messages from Trump, however, with the president telling Bloomberg News on Monday that he would be “honored” to meet the North Korean dictator. He also called Kim “a pretty smart cookie” in a CBS interview. Kim is a leader who runs one of the world’s most repressive regimes, where almost all aspects of civil society are severely restricted and tens of thousands of people are enslaved in labor camps that the United Nations has likened to Nazi Germany. Meanwhile, CIA Director Mike Pompeo was visiting South Korea on Tuesday as part of a three-day visit to reaffirm America’s commitment to its regional ally. The newspaper — which, like all North Korean media, is strictly controlled by the state — warned that the North Korean army would “make such gigantic carriers something useless,” apparently referring to their destruction. China is North Korea’s sole ally in the region and many experts see Beijing as key to solving the Korean impasse.